There was once this Japanese TV show from a while ago that showed Japanese people coming on a visit to Thailand, where they had a chance to board a Thai train going out into the countryside. Their faces were filled with excitement. Exclaiming with delight, the Japanese tourists seemed to be extremely happy to get to sit on such a train. They’re seeing the most vintage and ancient trains, models which have become outdated for decades in Japan! It’s real! As a Thai, I don’t think I can help but sigh at that. The Japanese, used to their silent, airplane-speed and advanced bullet trains, have proper justification to be excited to see Thailand’s creaky and ancient trains that look like they were built during the Second World War. I recently visited the Shinkansen museum in Nagoya, Japan and it was a bit depressing to see a model of a Japanese train from the 1960s and realize it looks exactly like a Thai train that is still in use today. What’s most striking- and not remembered enough- is that Thailand and Japan’s railway systems started fewer than two decades apart. 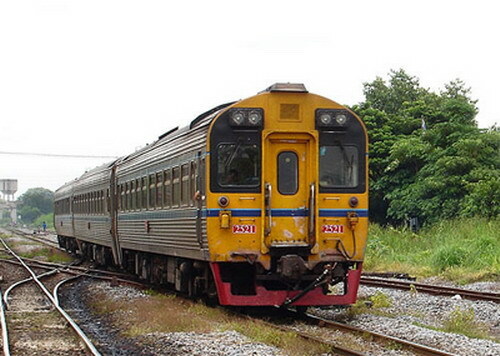 The State Railway of Thailand was founded in 1890, while the first railway in Japan opened in 1872. 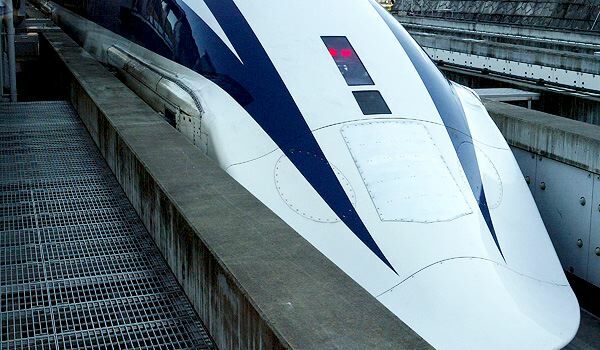 A little over a century later: Japan is waiting to fully adopt a magnetic levitation system while Thailand is still trying to sign agreements about having China help invest in a dual-track railway system. This is the point where you really just have that sense of…what exactly has Thailand been doing all these years? And after all, it’s a bit valuable to reflect on how different Thailand and Japan have become despite a lot of their similar histories. During the 19th century, both countries found themselves woefully unprepared for the onslaught of Western imperialism that threatened each country’s sovereignty. Both, however, managed to maintain their own independence. Both then embarked on national reforms; in Japan this became the Meiji restoration. In short, Thailand and Japan had started out quite similarly. What happened after, however, is far from similar. Postwar Japan took off while Thailand is still stumbling. The Thai and Japanese train systems is the clearest way to illustrate this. Of course, this is just a superficial example, but it does shine light on how differently the two countries are being governed and developed. Japan’s railways continue to develop, while Thailand’s state railway operators still has a reputation as one of the most corrupted state organizations, its immense budgets being sucked away with nothing to show for it. The two respective railways are symbolic of the governments of both nations: one that continues to innovate and develop, while the other that is too embroiled in its own problems with corruption and is unable to think creatively. You can only wonder how we’ve reached this point. And it’s not just the hard development that has become different. Even in terms of soft power and cultural influence, Thailand lags far behind Japan and lacks any of its global branding. There are many examples of this. 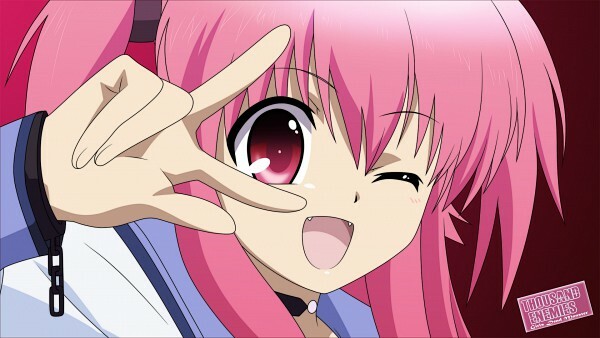 Japan’s anime and manga is world famous and is widely adored everywhere. Meanwhile, Thailand consistently produces animations depicting Thai kids with the traditional jook hairstyle- hardly something appealing to watch. Then there’s also things like tourism and hospitality. Sure, Thailand might consistently rank among some of the best travel destinations in the world, but walking along the roads of Tokyo or Osaka is different from walking in Bangkok. The roads are clean, and the public transportation is thorough. The people are polite, disciplined, well-mannered and there’s a tangible feeling of hospitality. I’m not sure if you can always say the same here. In the end, Thailand seems to be gripped by a desire to emulate and be Japan. Thailand is full of Japanophiles. Everyone knows that much. Any walk in a Thai shopping mall will show a huge abundance of Japanese restaurants; ironically enough, it can probably be said that a decent Thai restaurant is harder to find in a mall than a Japanese one. Any new product that carries the ‘Made in Japan’ label will be greeted and bought with enthusiasm. Many will proudly declare themselves an otaku. Although the fascination with Japan among Thais is far from unique- it is probably global- it is an intense interest that we hold. Indeed, it is a sad truth that these two countries, starting out so similarly, has ended up so differently. I’m not here to be spreading Japanophilia (although I do love Japan). And I’m not here to say that we need to be copying Japan. What I’m saying is that it says a lot about our government and our people that the standing of the two countries are so different. Japan was once dominated by militarists that led it on its long road to a war that would eventually destroy most of the country- something that Thailand has never had to experience. Reconstruction is an expense that Thailand was mostly spared upon, unlike Japan. Yet Thailand is behind, so severely behind the various large economies of Asia, whether they be Japan, South Korea or Taiwan. I know that Thailand is still stuck in its own turmoil. We still haven’t been able to resolve most of our problems, and our slow running reform process merit another post to itself. But we need to look beyond just the immediate situation and into the future. There’s really no reason that Thailand has to be so behind the other ‘tigers’ of Asia, yet it always seems that we choose to make decisions that will make us lag behind. Come on Thailand. Why keep punching below our weight? Really Ken? “Thailand never had a period of totalitarian rule”?